The focus of this article is on the demand response application aspect of the smart grid by leveraging the data analytics techniques. 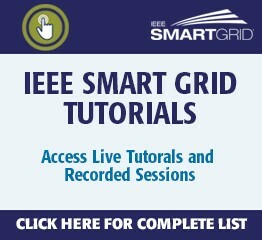 This would throw light on how these techniques can help in solving the various long-term problems in the smart grid and how the information gained can help the utilities to cut their costs. Smart grid comprises of many entities which are connected to the Internet for transferring the energy-related information, thereby forming a large network of Internet-of-energy. This network can be benefited from various cutting-edge technologies like data analytics to process a large amount of gathered data. The need and impact of performing data analytics on such a network is also described along with the various challenges and constraints that restrict the use of data analytics in the present scenario. Smart grid technology is capable of managing the energy generated from various conventional or non-conventional sources in an efficient manner based on the knowledge of demand and supply. In smart grid, all the entities in the power flow from generation, transmission, distribution to the end-users generate the data related to power requirement and usage. This data can be analyzed in order to provide efficient energy management solutions to the end-users and to mitigate various long-term problems of the grid such as reducing the demand and supply gap. However, the usage of electricity over the years in various sectors is predicted to rise and it requires an imminent solution to curtail the load demand of end-users without affecting their comfort. One of the efficient ways to do this task is to manage the demand response of the end-users. Demand response, in general, can be referred to the changes made in the load demand of the users with respect to the policies adopted by the utility. Managing the energy requirements in such fast-paced growing sectors, smart grid has emerged as one of the most powerful technologies. It can regulate the power flow in various phases such as–generation, distribution and consumption by leveraging the technology for analyzing the gathered data. One such technological term used for analyzing the gathered data in the smart grid environment is called data analytics. Data analytics is generally classified into four broad categories each of which is defined as follows. Descriptive analytics provides information about what has happened and helps in creating a plausible explanation for it. This analytics intends to find out the useful information from the underlying data which can be used for further processing. Diagnostic analytics helps in understanding the reason behind the occurrence of a particular event and also helps to understand the system behavior by identifying various challenges and opportunities. Predictive analytics performs probabilistic predictions to identify future trends, based on present information. Prescriptive analytics is used to determine the outcome of the particular events on the basis of given data in order to handle such events. These analytical methods can be used to perform demand response analytics which helps to find the optimal solutions for managing the load of end-users in a way that the demand and supply gap is reduced. This alleviates the need for utilities to build and install new infrastructure for managing the load demand of their users and thereby, help them cut their costs. Data analytics can change the perception of the consumers as well as the utilities, the way they use the power. Data analytics plays a crucial role in managing the future needs of customers and influences many areas in the smart grid environment. The analytics performed for providing demand response management can help to optimize the electric consumption of the users for reducing the burden on the smart grid. This type of analytics can forecast the energy demands and helps in scaling down the energy requirements at peak hours by providing benefits to the customers during off-peak hours. The impact of performing data analytics for demand response management in smart grid includes increased customer satisfaction, better expenditure of capital, improved efficiency and improved reliability. Customer satisfaction is increased by gaining insights into customer experiences from the gathered data and providing personalized solutions to the customers for demand response management according to their usage pattern. Data sharing, security and privacy: The data sharing among the consumers and service provider is limited as the user is concerned about his/her privacy. The customer’s data security and privacy should be maintained so that the customer feels safe to share data with the service providers. AMI data integration: The data gathered from advanced metering infrastructure (AMI) has its own challenges to be integrated with grid in real-time. However, this data can help in leveraging the customers by designing personalized plans for them based on their usage and preferences. Variability in response: The major hindrance in performing demand response analytics is the variability in the response of the customers. Customer usage pattern depends on many factors like electricity price, daily routine and weather conditions. These factors must be taken into account while managing and analyzing the demand response. Infrastructure requirements: The data generated by the consumers is huge, thus it is difficult to analyze. Therefore, utilities require more computational resources in order to process the gathered data. 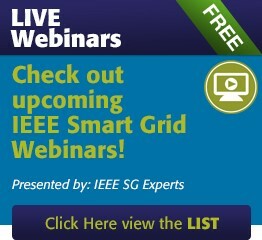 These and many other related challenges need to be addressed to fully utilize the data analytical techniques for providing demand response and other solutions in the smart grid. In conclusion, the future of data analytics is bright, utilizing all advances in technology and major research and development going on in academic institutes in partnership with the industry for building test labs and equipment to test the efficacy of various developed solutions for the smart grid applications. Dr. Anish Jindal is a Senior Research Associate in School of Computing & Communications at Lancaster University, UK. Prior to this, he worked as a senior research fellow of Council of Scientific and Industrial Research during his Ph.D. at Thapar University, India. 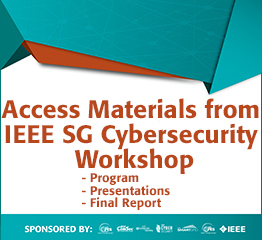 He has many research contributions in the area of smart grid, data analytics, vehicular cyber-physical systems, wireless networks, and security. Some of his research findings are published in top cited journals such as IEEE Transactions on Industrial Informatics, IEEE Transactions on Industrial Electronics, IEEE Communication Magazine, IEEE Network, Future Generation Computer Systems, and Computer Networks. He is member of the ACM, IEEE, and actively involved with various working groups of IEEE on smart grid and smart cities. Dr. Neeraj Kumar received his Ph.D. in CSE from Shri Mata Vaishno Devi University, Katra (J & K), India, and was a postdoctoral research fellow in Coventry University, Coventry, UK. He is working as an Associate Professor in the Department of Computer Science and Engineering, Thapar Institute of Engineering and Technology (Deemed to be University), Patiala (Pb. ), India. He has published more than 200 technical research papers in leading journals and conferences from IEEE, Elsevier, Springer, John Wiley etc. He has guided many research scholars leading to Ph.D. and M.E./M.Tech. His research is supported by funding from UGC, DST, CSIR, and TCS. He is an Associate Technical Editor of IEEE Communication Magazine. He is an Associate Editor of IJCS, Wiley, JNCA, Elsevier, and Security & Communication, Wiley. He is senior member of the IEEE.